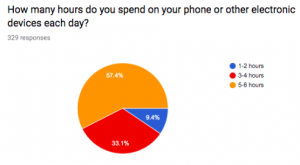 Overall, this survey showed many surprising things about how people spend their time each day. 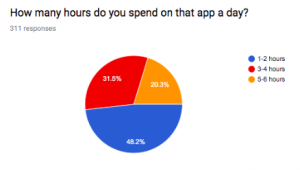 The number of hours that people spend on their favorite apps was reported as an average of 50 percent of students spend 1-2 hours on their favorite apps. 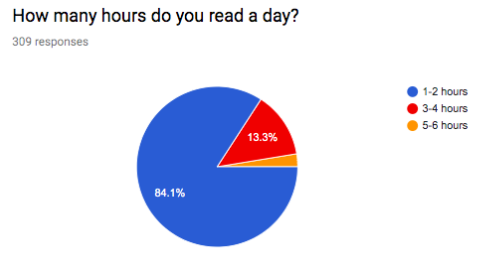 People were very honest in the comments, some people saying that they would like to spend more time reading and studying. Many people in the comments said that they would like to get more sleep. One person who participated said that they would like to use their time more adequately by spending time with their friends. Another person, despite the several hours they spend on their phone, said that they are fine with the way that they spend their time. 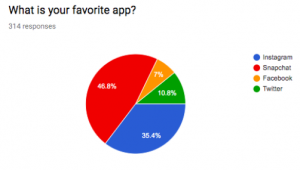 This survey gave us lots of interesting data, and we appreciate all who participated in it. When we all think of school, what comes to mind? Some students think of their friends, teachers, or sports. Others think of the homework, studying for tests, and being stressed. 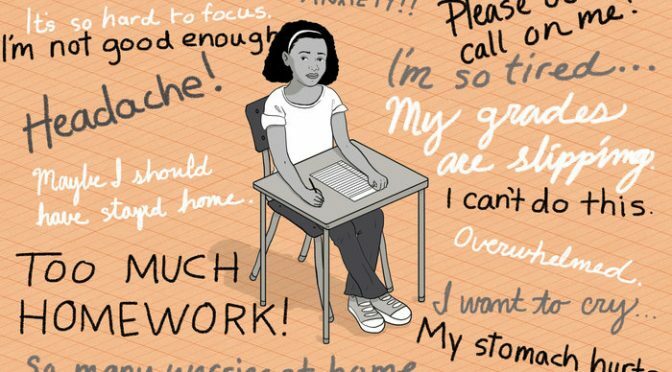 According to “Mental Health in Schools: A Hidden Crisis Affecting Millions of Students,” an NPR article written by Meg Anderson on August 31, 2016, studies have shown that 1 in 5 students have mental health disorders, whether it be depression, anxiety, or substance abuse. So in a grade of 300, about 60 of those students may have mental health disorders and need help. According to the article, almost 80% of those who need help, won’t get it. Some of the reasons for being unable to get help include the family’s culture/beliefs or being uninsured and/or unable to afford the care, which is other important issues as well. These students with mental health disorders still have to attend school. Their untreated disorder can greatly affect their school life and personal life. Over 50% of students ages 14 and older with mental health problems could drop out, have substance abuse troubles, and have other issues that could create more problems for them. In fact, according to an article written by the Association for Children’s Mental Health at http://www.acmh-mi.org/, youth with emotional and behavioral disorders have the worst graduation rate of all students with disabilities. Students who have these dilemmas may show disruptive behavior, chronic absence, and may even drop out. School is a critical place for students to get the social and educational interactions they need to be successful. This is where most of our youth spend their time. 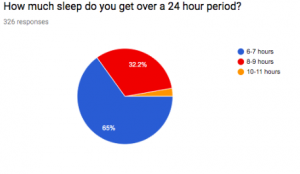 In 2017, a Centers for Disease Control Youth Risk Behavior survey asked high school students between the grades of 9-12 if they had ever had felt sad or hopeless almost every day for two or more weeks in a row and to the point where they stopped doing some of their normal activity. 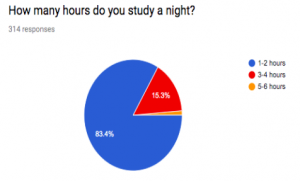 The results came back and 41% of female students said they’ve experienced this, and 21% of male students said they’ve also experienced these feelings in the last 12 months. Since 2007, ER visits annually for adolescent suicide attempts or suicide ideation have risen from 580,000 to 1.2 million in 2015. School administrators make big decisions for their school. Some administrators decide to bring in assemblies that talk about bullying, suicide prevention, and other mental health-related issues. These forums can help tremendously and can give them a way to talk about what’s wrong and get the help they need. This may be one way for students across the country to find more resources. Clearly, there are many issues involved with mental health for teens and the statistics are daunting. Another factor that can help is having a school psychologist and/or a social worker in schools. Mrs. Tammi Broadus, school social worker at the GC Academy, said, “There is a current bill in the Senate looking to increase funding for mental health support in schools. Once we get this bill passed, we can begin doing the work of hiring more mental health professionals in schools.” In February 2019, Indiana lawmakers discussed a bill that would help districts provide mental health services to students, according to a Fox 59 article by Kelly Reinke on Feb. 14. After a 13-0 vote by the State Senate Appropriations Committee, it’s now making its way to the Indiana Senate floor. State Senator Michael Crider, the co-author of SB266, said in the article that his bill would allow schools to bring in providers in addition to counselors already on campus. These staff members and resources can be very beneficial to students who need someone to confide in. Having these resources to help students can make a big change for those who cannot afford counseling or who don’t necessarily have anyone in their home lives who can do something about their children’s mental health. These students are our future; we need to make sure they have the best possible lives. Hopefully, more schools nationwide will get the resources they need to help their students. This book begins with two sisters who live on a tiny island ruled by their father. They have been trapped in this kingdom for their whole lives thanks to their abusive father. The two sisters always had a dream that they could leave their horrible island behind and go to Caraval. 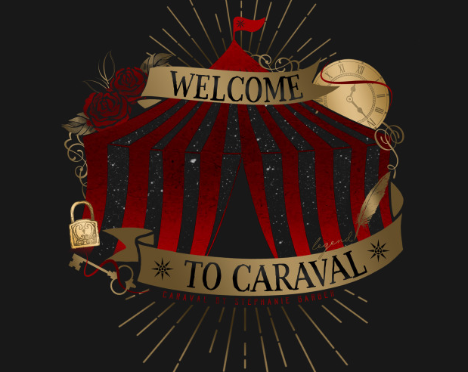 Caraval is a magical once-a-year performance. Scarlett the older sister has written to the owner of Caraval many times before but has never gotten an answer back. Finally, a week before her wedding she gets a letter inviting her fiance, sister, and her to attend Caraval. Little do they know that this was all planned by the games master. Scarlett worries about getting in trouble if she left the island, so she declines the offer and tells her little sister that it is not safe. Scarlett’s little sister Tella, unfortunately has a different plan. She along with Julian drugs Scarlett and they throw her on a boat with them. They get to Caraval and Scarlett realizes, along with Julian that Tella is missing. They later find out that this is all part of the “fictional” game. Scarlett has been told that everything that happens during Caraval is only an elaborate performance, and that she shouldn’t get to caught up in the game. Julian, Tella’s friend, sticks with Scarlett while she tries to find Tella, and win the game. Scarlett is an unusual heroine for this historical fantasy novel. Tella seems like the better fit for the heroine stereotype. She is strong, independent, and has a rebellious spirit. Scarlett lacks all of these characteristics. Scarlett is proper and prim. In this story, readers can see Scarlett grow and develop stronger characteristics and independence. This book is about the love between two sisters and what they would do for each other. It also deals with getting through the challenge of abuse and how to face it. The theme in Caraval was hard to grasp; I would have liked it to be clearer. I also wanted to see from Tella’s point of view, not just Scarlett’s. It would have been more interesting if we could see their different paths unwind at the same time. Overall, the novel Caraval is very interesting and a good fictional read. It is very descriptive and emotional. 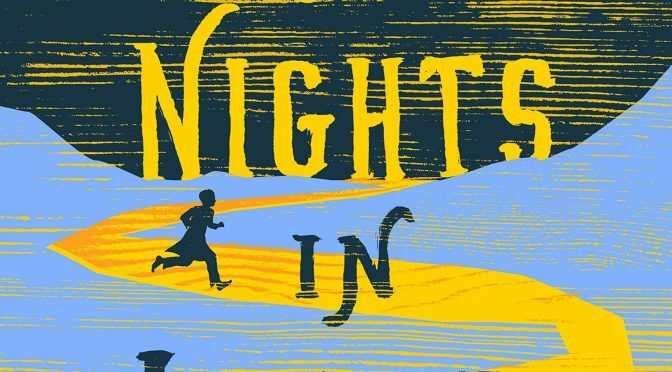 99 Nights in Logar, authored by Jamil Jan Kochai, tells the story of Marwand, a twelve-year-old child visiting his family in war-ridden Afghanistan. After spending only a couple of days in his family’s village, the tip of Marwand’s finger is bitten off by the formidable but beloved guard dog, Budabash. Marwand and his cousins, Gul, Dawood, and Zia, then vow to capture the escaped beast and return him home. The novel takes a turn from its initial storyline when Marwand is forced to return to his family’s compound. Gul went missing in a seemingly endless maze of compounds and Dawood fell sick, so Marwand forfeited the search in hope that he and his cousins could make it home alive. The middle portions of the book outline the various occurrences and hardships that Marwand’s family endured, such as a double engagement, an outbreak of land seasickness, and tension between family members. Later, Marwand attends a family member’s wedding dressed as a girl in an effort to snap a photo for his cousin Gul, but is then exposed as a fake. He then escapes into the maze of compounds that nearly claimed Gul’s life. In the heart of the maze, Marwand discovers a tunnel filled with bones. He crawls in this tunnel until it opens up into a cave, where further adventures ensue. Littered throughout the novel are stories, some true and some fiction, that reveal past mistakes and the fate of Marwand’s family. One story in particular that was never completed was the tale of Marwand’s Uncle Watak. The final part of the book is the exhaustive story of Uncle Watak, written in untranslated Pashto. While this novel is an extraordinary example of coming-of-age literature, it isn’t everyone’s cup of tea. Cultural elements and words unique to Afghan civilizations are common occurrences in the book, making it difficult for people of different cultures to understand and relate to the characters. On the plus side, this book teaches readers about a culture different than their own. Not every detail will be understood, but it’s the immersion in a new culture that makes this book stand out from the crowd. Fantastic Beasts: Crimes of Grindelwald- Amazing or Too Action Packed? The second installment in the Fantastic Beasts franchise has gripped the attention of readers since it came out on November 16. 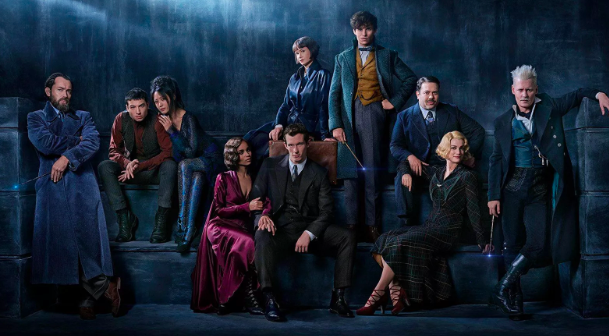 Fantastic Beasts: Crimes of Grindelwald picks up where the first movie, Fantastic Beasts and Where to Find Them leaves off. In this film, Newt Scamander (Eddie Redmayne) continues being a mother to his “Fantastic Beasts” while also slowly falling in love with Tina Goldstein (Katherine Waterston) and maybe even Leta Lestrange (Zoë Kravitz). Newt begins the movie by meeting his brother Theseus (Callum Turner) at the French Ministry of Magic. During this meeting, he discovers that the obscurus Credence Barebone (Ezra Miller) had survived the incident in the train station in the previous movie. It is revealed that Credence is living in Paris with a maledictus named Nagini (Claudia Kim). Because of Credence’s importance to the the the pureblood movement, Albus Dumbledore (Jude Law) practically begged Newt to go track him down and keep him out of Gellert Grindelwald’s (Johnny Depp’s) clutches. Though some may feel that this movie had too much action for it only being the second movie, many fans like how how fast paced it is. There was never a slow moment, and every plot twist left you on the edge of your seat with suspense. There were relationship issues left and right, ranging from a non-consensual love hex to an article looking too far into a close friendship. One of the obvious best parts of this movie is Jude Law’s portrayal of younger Dumbledore. Law tapped into Dumbledore’s rebellious streak perfectly. He also was a great Defence Against the Dark Arts teacher Dumbledore. He played the role of a supportive, loveable, and loyal friend to Newt and his other students flawlessly. Another great actor in this movie is Callum Turner, who plays Theseus. Though Newt and Theseus don’t exactly have the best relationship, Callum emanates the big brother tough love vibe perfectly. Even though Theseus is marrying Newt’s childhood best friend that he clearly liked, he still manages to always look out for what is in Newt’s best interest. On top of all of the great actors, this movie also helped expand some relationships between the characters. We got to see Newt and Tina’s relationship stretched, and Queenie (Alison Sudol) and Jacob’s (Dan Folger) relationship fluctuate as the movie goes on. We also get to see how the characters interact around each other. The audience sees how Newt and Theseus and Leta all act when they are together versus apart. There is obviously history between Leta and Newt even though his brother plans on marrying her. There is also tension between Newt and Theseus for some unknown reason. The best thing about this movie is all of the tie-ins to the Harry Potter series. Nagini, one of Voldemort’s horcruxes, was shown as a main character during the movie, giving us insight into her past. The audience also learns more about the Lestrange family background through Leta. What would you do if you found a magic box in the woods that was capable of death? In The Sacrifice Box by Martin Stewart, Arkle, Sep, Mack, Lamb, and Hadley all find themselves in this eerie situation. The setting is 1982 Scotland. Five friends find themselves surrounded by icy wind and an ancient box hidden in the woods. The rules were simple: never come to the box alone, never open it after dark, and never take back your sacrifice. After the five friends offered up their sacrifice, an object they care about deeply, they depart and make their way back to their chilly homes. Flash forward to four years later. Sep, otherwise known as September Hope, and the outcast in this story, makes his way towards his school. He is stuck between choosing to go to the mainland for college, or to stay in his cramped town, which he hated. Headmaster Tench who was obsessed with fishing and Sep’s mother, Daniels, the bully, and mean old Mrs. Siddiqui were the only things that pushed Sep to fill out his mainland college application. What Sep doesn’t know is that something truly awful has happened: the box had been opened. After learning of the constant deaths of people acquainted with the teens, the five friends reunite in order to find out who has broken the rule. They each go back to the woods to discover something they will never forget. 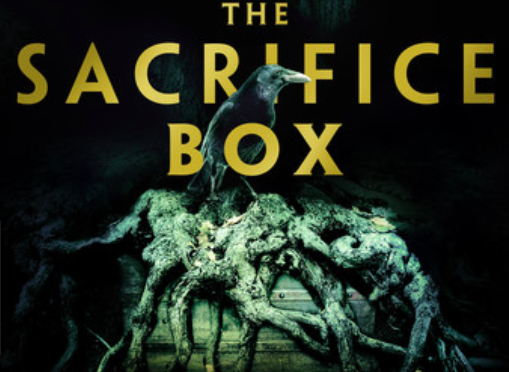 The Sacrifice Box was a truly boring, slow-paced book. It got interesting towards the 100th page. That is when the action really came in. I would give this book two stars out of five. I had really high expectations, as the cover looked good and the summary seemed spookily interesting. Reading this book was like watching a movie that was boring for the first hour, and decently interesting for the last thirty minutes. I would recommend this book to someone who likes to really build up to a good ending, because, the ending was pretty good. It was the other 100 pages that were disappointing. I can say I will try to read this book again someday. Maybe there will be something that I missed, and will find interesting. I encourage everyone to pick up a book and read it. Do it for the fun of it. Sometimes you can be surprised by how mystical a book can be. Christmas and Thanksgiving: two times you can enjoy wonderful foods and some relaxation at the same time. 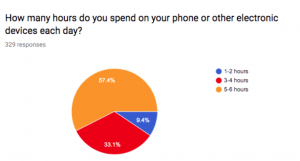 This survey was made in order to celebrate traditions and the favorite foods of some of the more popular holidays. Whether it be turkey or a good casserole, dinner traditions are something that are loved by many. Out of the survey, 26.8% of the people enjoy mashed potatoes the best. The closest to the mashed potatoes was the 18.9% who liked ham the best, which is also delicious. Desserts are a must have, especially on Thanksgiving. 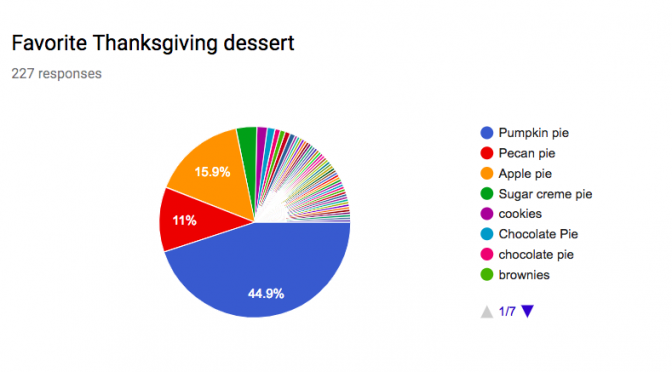 The two favorite Thanksgiving desserts were pumpkin pie, with a 44.9% and apple pie, with a 15.9%. Funny traditions and memories are things that we look back and smile on. Some responses stood out among the rest. “One time my uncle stuck his hand in the sink and when my grandma put the garbage disposal on, he was pretending that his hand was getting cut and taken off,” wrote one student after recalling a funny memory. 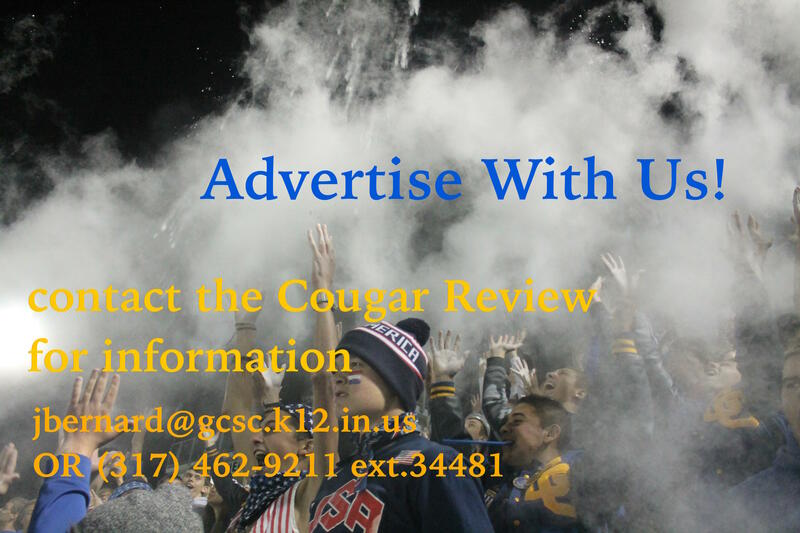 Another student said, “A food fight between the kids of the family” was particularly unforgettable. Some of the most popular answers for most memorable Thanksgiving traditions were spending time with family or eating. “When I brought homemade Rice Krispies treats to Thanksgiving for the first time, and ended up with them too hard to eat and people still ate them,” was one student’s experience. The most popular response to favorite December holiday tradition was decorating. Some of the other responses were, “Waiting until 6-7 a.m. and making cinnamon rolls. Then waiting till those are done, eating, and opening presents.” The best gifts that people said they got were money, video game consoles, or being with their families. The most popular place to see the lights is the Circle of Lights, and the second most popular choice was Christmas at the Zoo. The sound of rustling leaves could be heard in the distance. A screech of a crow echoed through the alleyways of the dark, damp suburbs of a small town not too far away from Kansas. Teenagers, children, and even adults lined the streets. Skeleton masks, doll masks, and blood-splattered masks filled the streets of teens awaiting the chime of the bells. The bells symbolized the start of Fright Night, the holiday most people dreaded. Fright Night starts at five pm on halloween night and end the day after at 5 am The night is filled with pranks, regular trick-or-treating, and occasionally, murder. For the last six years, two unidentified masked figures went around slaughtering the poor helpless children and teenagers of the town. Last year, Hunter Laurie had the unfortunate time of being the first, and surprisingly last, victim of the masked villains. This was the death to end all of the murder. Hunter Laurie was a thirteen-year-old boy who went as the same thing for Halloween every year: Frankenstein. Hunter didn’t mind getting made fun of. He was content with what he had, plus, the older people would give him extra candy for being so cute. Hunter loved Fright Night more than anything. He loved getting candy and seeing kids prank the adults. That all changed when Hunter saw a prank he wasn’t supposed to see. Hunter was going down the street when he heard a yelp. “Jesus, Paul, do you really need to put that much blood on her door? She’s already going to be upset when she sees her dog. I think you’ve done enough,” said a boy who Hunter recognized as Rowan Wallis. The Wallis brothers were notorious for doing the most horrific pranks every year. The year before, they had lit a church on fire. Paul Willis came up with each awful idea. He always claimed the same thing: “You wouldn’t yell at me if it were your kid who did it.” Every year a parent of the Willis boys would bail them out of jail. They were spoiled and never disciplined. When Hunter walked up on them spreading the blood on the door, he screamed. “What the hell was that?” yelled Paul. He looked around until he locked eyes with Hunter, who was frozen in fear. “You’re dead, kid!” Paul yelled. Paul ran after Hunter and Rowan quickly followed. Eventually they caught up to Hunter and threw him down. Hunter screamed as his wrist hit the hard ground and snapped. Rowan grabbed onto Paul’s shoulder. “Don’t you think we should stop, Paul? C’mon, the kid’s hurt enough. All he’s going to do now is complain to his mommy.” Paul smirked and grabbed Hunter. Without saying a word, Paul quickly ran with Hunter to a place where he knew Hunter would never get out of. Paul was twisted and psychotic. Nobody knew of his nature to kill. Rowan followed silently. He knew what was about to happen. “Paul, you can’t keep doing this. Someone is going to find out sooner or later. I can’t keep covering for you. This is getting ridiculous. You need help. You-” Rowan was cut off by Paul slapping him in the face. “Do you think I like doing this? Huh? Do you think I like killing little kids? I can’t help it. I have to.” Rowan remained quiet as he continued to follow Paul to the place. The place where people are taken to die. Paul slammed Hunter down in a hard, rusty chair. Hunter groaned as the wind was knocked out of his fragile body. Paul tied down his arms and legs and put a blindfold on the kid. He didn’t like the poor victims to see themselves die. He had a little compassion. Rowan stayed close to the door that lead up to the sky above them. It made him sick to watch his brother torture innocent people. Paul laughed and cried as he grabbed a knife from a hidden drawer. He needed to kill. He hated it, but he needed it. It was the only way he could keep peace in his life; the only way he could live a “normal” life. Paul slid the knife across Hunter’s face and sighed at the tears and blood flowing from the kid’s face. “I’m sorry kid. You were at the wrong place at the wrong time. This has to be done.” Paul went down further and slit Hunter’s neck. Silence filled the room as the blood flowed from Hunter’s neck. Paul sighed and sat against the wall of his underground murder room. He then started laughing and used his knife to cut his own hand. He rubbed the blood from his hand on Hunter’s face. It was has signature mark. Out of nowhere, Paul felt a sharp pain in his back. The pain intensified. Paul reached around his back and grabbed the sharp object that was lodged in it. He looked at the object and noticed Rowan standing in front of him with tears in his eyes. “I can’t let you do this anymore. I’m sorry. Please forgive me.” Paul made a gurgling sound and fell over. Rowan walked out of the underground room and closed the latch door that kept it closed. He struck a match and threw it on the ground. In a matter of minutes, the whole area was engulfed in flames. Smoke filled the air. It was, however, the end of the terrible murders that occurred every year. 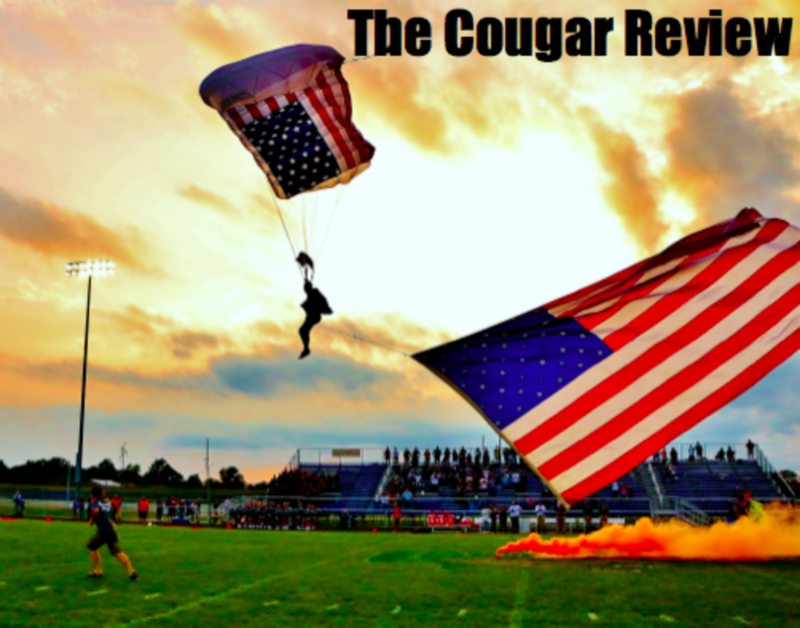 Hunter Laurie was never forgotten, but instead, celebrated. Fright Night became a holiday to celebrate those who died in that span of six years. Everyone enjoyed their nights and never worried about possibly being murdered. Nobody had to. The only problem that remained was Rowan’s guilty conscience. After all, he did backstab his brother. Halloween; a mix of crisp weather, trick or treating, and best of all, scary movies. Horror movies from the 1960s to the 1980s are still relevant because of their superior scares. The following films will be ranked from the worst to the best. With movies such as The Texas Chainsaw Massacre and Carrie, this list will be filled with gory and eerie choices. The 60’s through the 80’s were filled with scary movies that leave goosebumps on arms and standing hairs on the back of necks. The Birds is a classic movie about a woman who meets a man at a pet store. She leaves him with two love birds, which resulted in crows attacking the town, and eventually, the woman. The movie, released in 1963, was directed by Alfred Hitchcock, who is also known for Psycho, Vertigo, and Rear Window. Another classic would be Willard. The movie, released in 1971, is a thriller about a man who trains rats to kill for him. Willard, the man, befriends a colony of rats. Socrates and Ben are the two most well-known rats that play important parts in the psychopathic lifestyle of Willard. The 1970’s were filled with hair-raising classics that are still being watched today. The Texas Chainsaw Massacre is a well-known movie that has been made into many separate movies. The main characters, Sally and her paraplegic brother Franklin, head up to their grandfather’s grave which has been vandalized. There, they meet a group of murderous psychos, who want nothing else but to torture and kill the two. Leatherface is introduced as the main murder character. He wears a mask made out of human skin and murders unsuspecting victims with his chainsaw. Jaws is an additional classic made in 1975. The movie stars a killer shark who eats his victims and shows no mercy. Jaws now has five movies that contain the same bloody cruelty as the first. What do you get when you mix a teenage girl with telekinetic powers? Carrie was released in 1976. Carrie, a teenage girl who is bullied in school and by her mother, develops telekinetic powers that turn deadly. The movie has been remade multiple times with twice as much blood and gore. One of the most popular movies from the 70’s would have to be Halloween. The movie starts out with 21-year-old Michael Myers escaping from custody of the police. He then goes back to his hometown of Haddonfield, IL, where he seeks out his next victims. “They’re here!” Carol Anne is known for the famous line in Poltergeist, one of the most popular horror movies of the 80’s. Made in 1982, Poltergeist gives a look into what happens when 5-year-old Carol Anne is swept into a world of terrifying ghosts and bright lights. When Carol Ann is taken by the spirits, the Freelings are forced to communicate with their daughter through the television. When getting nowhere on receiving Carol Anne back, the family must turn to a group of trained exorcists. “Whatever you do, don’t fall asleep.” Nancy Thompson dreams herself into a world of nightmares coming to life in the 1984 slasher film A Nightmare on Elm Street. Freddy Krueger, the antagonist, preys on teenagers and kills them in their dreams. A death in a dream equals a death in reality. Nancy’s parents and their friends are the key to solving the mystery behind the razor clawed fiend. What happens if Nancy doesn’t solve the problem? Watch the movie and find out! After reviewing the results to the survey students of GCHS took, the chilling results are in! 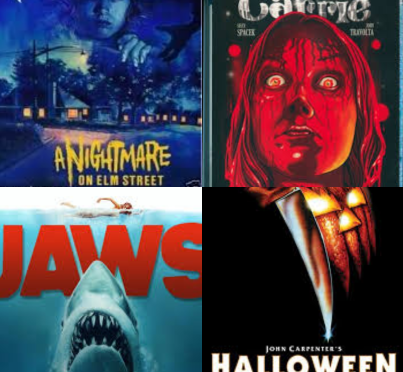 “Why are you screaming?” A Nightmare on Elm Street tops the favorites list with only a 8% difference from the second place tie of the slasher Halloween, the exorcist legend Poltergeist, and bloody Carrie. In third place we have the chainsaw-swinging Leatherface in The Texas Chainsaw Massacre. Fourth place goes to the man-eating shark, Jaws. Fifth place goes to the well deserved psychopathic rat trainer, Willard. Last place goes to the killer crows in the 1963 classic, The Birds. Hopefully they don’t seek revenge on you. It’s that time of the year when many people crave the horror festivities and the fright. People begin to frequently visit popular haunted houses such as: Indy Scream Park, Hanna Haunted Acres, Piney Acres, etc. These places include frightening attractions for people to walk through, with workers in costume throughout the location scaring as many people as they can. I had the chance to visit Hanna Haunted Acres and Indy Scream Park during my free time and they were very scary! Hanna Haunted Acres had more of a variety of things to do like a haunted hayride, maze and the normal attractions, whereas Indy Scream Park only had the haunted house to walk through. I personally enjoyed the atmosphere of Indy Scream park more than Hanna Haunted Acres because Indy Scream Park had a sitting area with bonfires and food and with workers walking around frightening others. Hanna Haunted Acres looked emptier and did not seem as well put together as the other park. Both of the haunted houses were great experiences with my friends and brought great laughs and screams. Each of the workers does a great job of scaring and entertaining at the same time. The paid actors, in makeup, help make your experience frighteningly realistic. Props, lighting, and the setting of each attraction also help create the spooky feeling people pay to come see during this time of the year. Visiting any of these haunted theme parks is recommended if you are a fan of horror movies, Halloween, or even if you just want to find something to do with a group of friends.